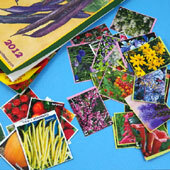 Make a garden in the middle of winter by cutting up seed catalogs. This is a good project for exercising the imagination on cold dreary days. Cutting up the catalogs, making the garden, and playing with it will keep kids busy for hours. This project requires few materials and is great for family craft time. Read through the project then gather the materials needed for making the garden. 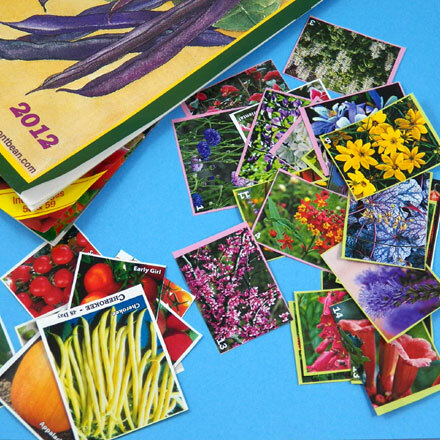 If you don't have any seed catalogs, check with neighbors and family, or use magazines with pictures of flowers. For younger children, you might also want to pre-cut the slots in the shoebox. 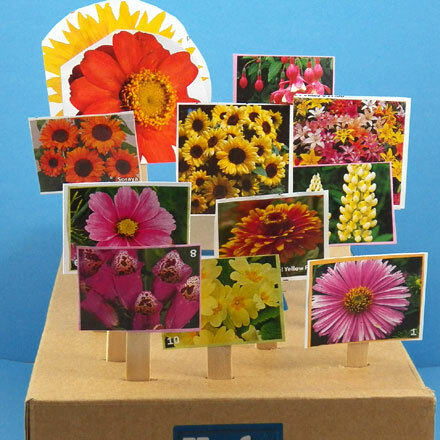 Take your seed catalogs and have the kids cut out the flowers that they like. 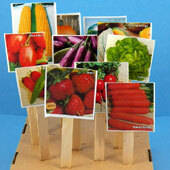 For a vegetable garden, cut out vegetables and fruits. This is the time to plan your garden. Do you want flowers of one or two colors, or a full range of colors? What vegetables will you plant? Glue the cutouts onto craft sticks or popsicle sticks. Tip: If the catalog paper is thin or flimsy, glue the cutout to a scrap of white paper or cardstock before gluing it to the stick. 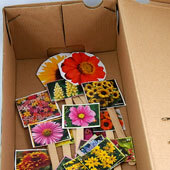 Decide whether you will use the top or the bottom of the shoe box for your garden. Use the tips of your scissors to cut slits in the shoe box. Make the slits slightly smaller than the width of the craft stick, and arrange them in rows or randomly. Tip: Start with just a few slits, and add more as you plant the garden. To plant your garden, insert the sticks with the cutouts into the slits. Arrange them anyway you like. Adjust the height of each plant by how far you insert it into the shoe box. Try different arrangements. Use your imagination. It's fun to plant and then harvest, and plant again. 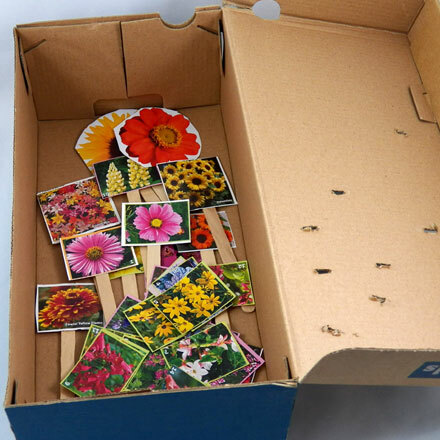 Tip: When you are done playing, store your plants in the shoe box for another day of gardening fun! That's it! Your garden it ready for planting! 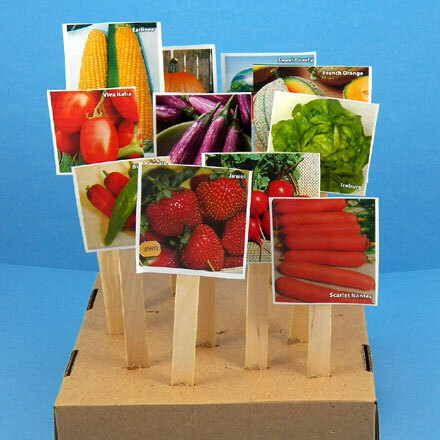 Tip: Make a garden with vegetable and fruit cutouts. This garden uses a small shipping box instead of a shoe box. Tip: Cut out more images than needed, then sort through them for your favorites. You can also keep them to change the images on the craft sticks. Thanks to Carol for sharing this simple craft idea with Aunt Annie's Craft Exchange back in 1997. Carol said, "I am a grandmother and have been doing crafts for over 25 years. I think that crafting with kids and grandchildren is a good way to present them with fond memories. "